We have put a lot of work into restoring our chicken coop from its original dilapidated condition. 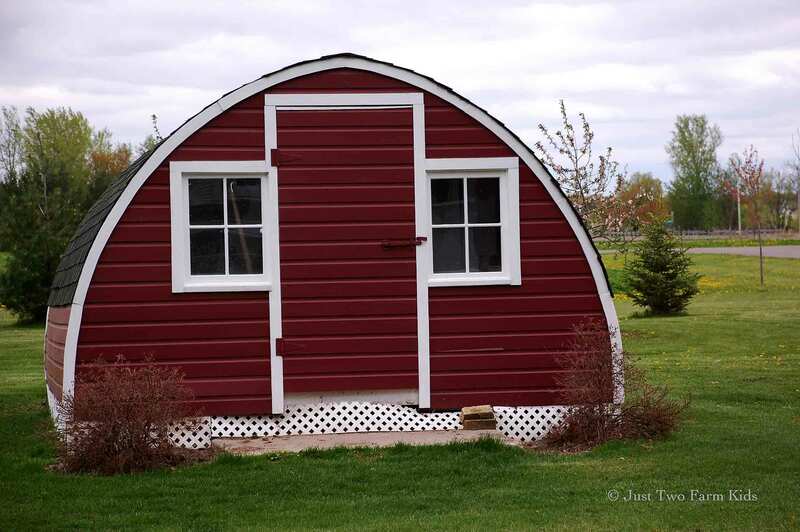 The result is a very solid, safe, comfortable and cute home for our chickens. Despite their fancy digs, our chickens love being outside any time there is not snow on the ground. They spend hours wandering around, digging and laying in the dirt, eating grass, bugs and just doing their chicken thing. 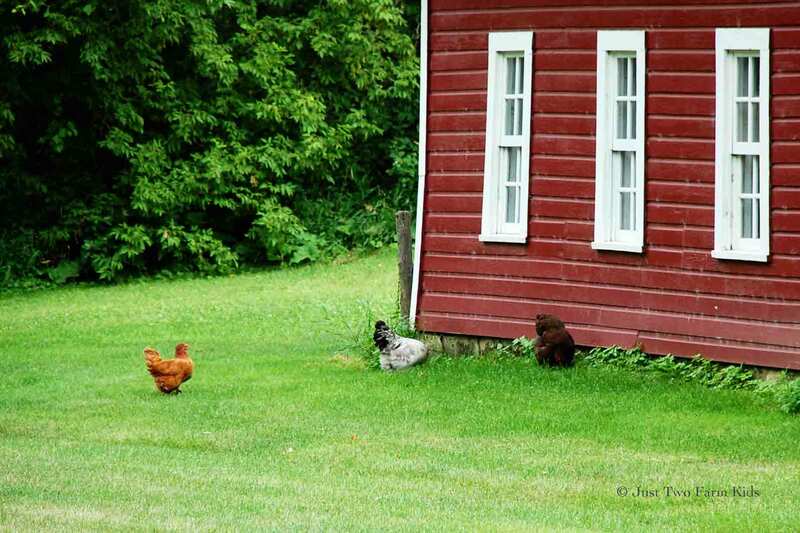 I like the “idea” of having free-ranging chickens and I enjoy seeing them meandering around the farm. Winters in Minnesota get cold. Really cold. On January 2nd, we woke up to temperatures of -30 degrees F. We have 11 laying hens that we do our best to keep somewhat comfortable during these frigid winter months. One of the strategies that we use is to bank snow up against the coop to help insulate and minimize any draftiness. The walls of the coop are insulated too, which helps a lot, although I am certain that not many chicken coops were insulated on original working farms of our parent’s generation. 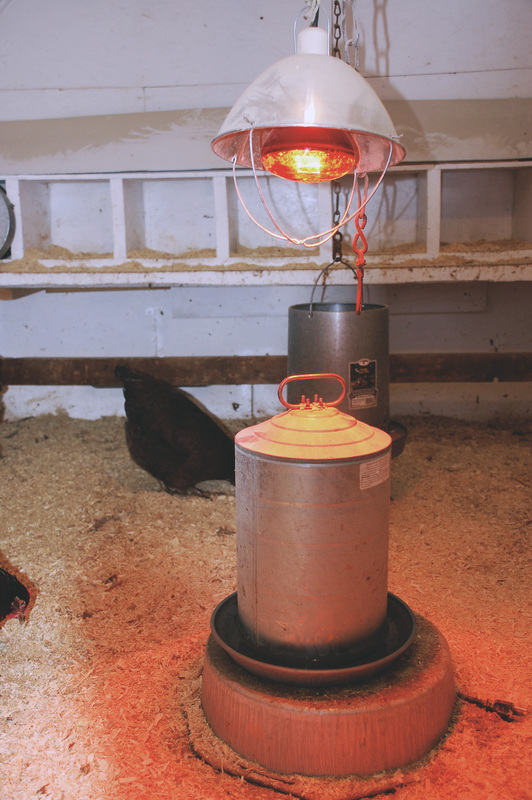 Inside the coop, we keep a heat lamp running to generate some heat for the chickens and to help keep the water thawed out. Jesse also keeps the water font sitting on top of a homemade font heater for the really cold days. The font heater is made from a thermostatic controlled heating element in an upside down drain oil pan. The windows on the coop are single pane windows, so this year Jesse decided to add an interior plexiglass panel to decrease the heat loss out the windows. 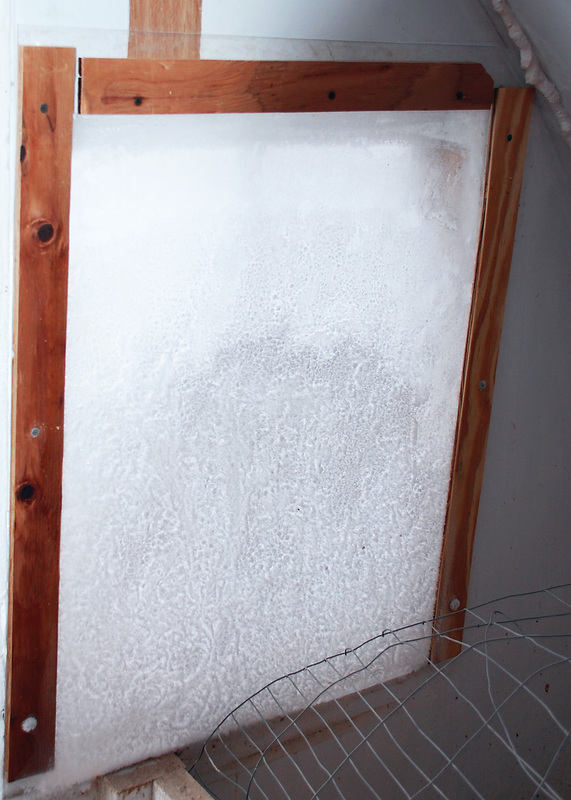 We believe it has made a big difference in helping the coop stay warmer, but we have had some condensation issues when the outside temperatures rise. Layer chickens can drink anywhere from 1 to 2 cups of water each day. During this latest cold snap, it seems as though the chickens have been going through a LOT of water. 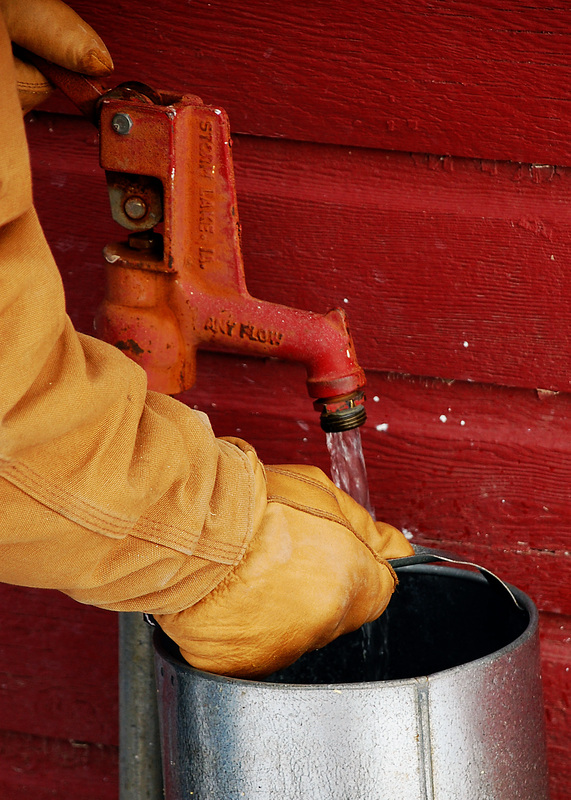 It is nice to have the water hydrant close to the coop for quick fill-ups. 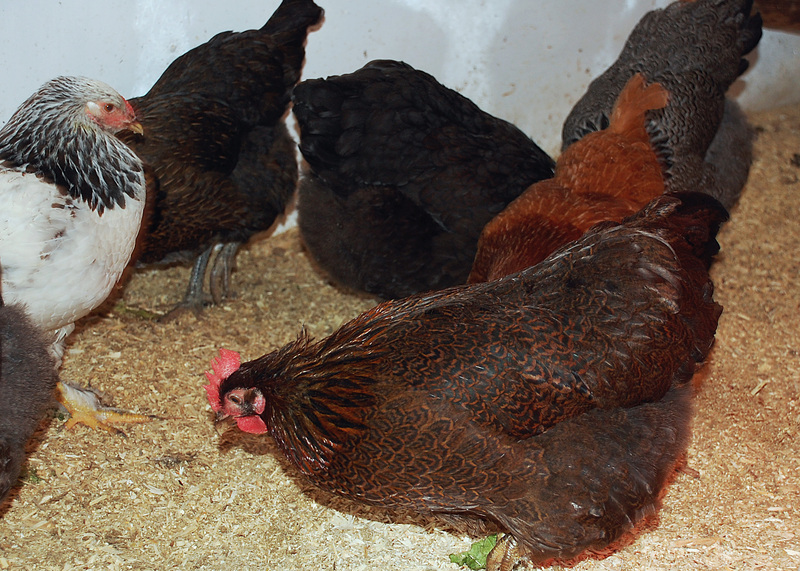 Here are the chickens all cozy and looking for scratch grains that I toss them for a treat. We were away from home for one night and the chickens filled the nest boxes. 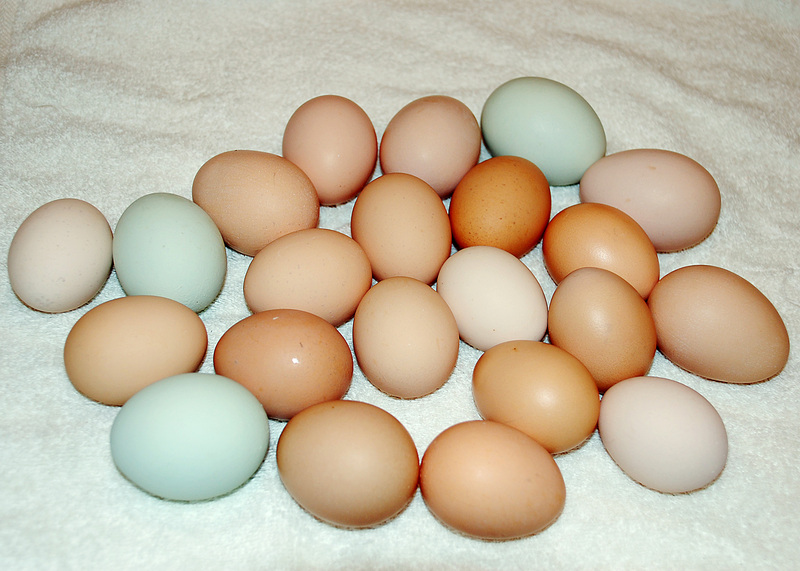 You can see that we have a couple of Aracaunas that lay the green eggs.